Certainly, Donald Trump happily sees it that way. 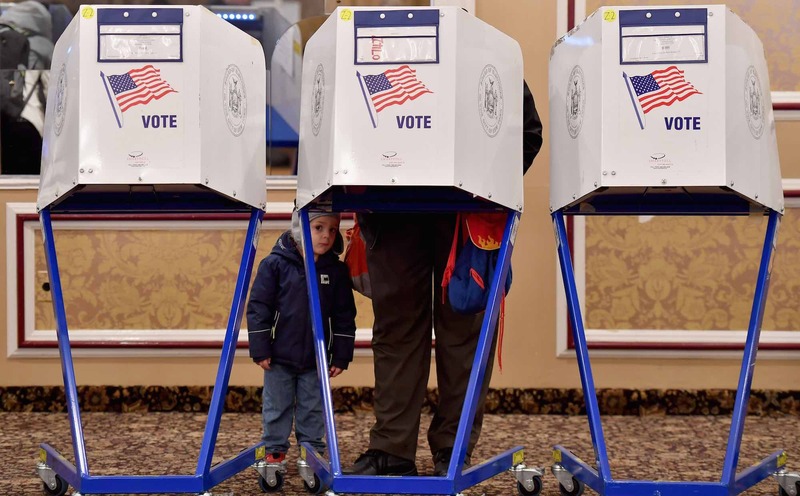 The interpretations of the midterm elections began long before the first vote was cast, with the actual results more fodder to fuel the divisions in the American polity. Trump’s domestic boosters are convinced of the message, while his critics are back in the battlements, again speculating about the Russian influence investigation. Romney’s redux can be either a victory or a loss, another Republican in the chamber or a staunch Trump critic (who Trump once skewered by speculating Romney could be secretary of state). But for many of those outside watching on, these elections results are still confounding as to why a man who appears the parody of a president, with no obvious concern for the truth, continues to capture any support at all. Well, turn to the comics for an answer. There were other things about Trump’s skill set that I saw that you just didn’t see with other politicians. For instance, he likes to focus on simple visual images. He’s got the Make America Great Again hat. He’s also got the wall. Even without a photo, everybody could imagine their own wall. It’s visual even without the picture. But then he added the pictures and it became even more visual. Trump makes us think ‘past the sale’. When he says, ‘The wall will be 30 feet tall’ and he visits the prototypes, he makes you think about what kind of wall it will be. That’s thinking past, ‘Will there even be a wall?’ It’s simple and basic. But it’s something that politicians don’t do. And he’s uniquely consistent in using these tactics. He didn’t just get lucky. Trump made the wall another feature of this latest campaign, the supposed threat from a refugee caravan playing to the sharp politics of immigration. Rather than banal, Adams sees Trump’s language of “simplicity and repetition” as a strength. Adams also talks about energy, illustrated by Trump’s ability to short-circuit awkward “gotcha” questions of the type that would end another politicians campaign (think his comments on women, or the supposed “wouldn’t” slip alongside Vladimir Putin). Does this explain Trump as a phenonemon, a victory of method and marketing over questions of substance? Not exactly. Clearly the issues he speaks to resonate, and Trump’s style of politics is not bounded by geography. And in truth, the midterms are not really just about Trump, in spite of the attempt by both sides to paint it that way. What Adams' perspective offers, though, is more than comic relief. Trump’s skill is too often underestimated by his critics. It shows why an election result short of a punishing defeat for Republicans is not necessarily an endorsement of Donald Trump. He is just better at making himself the centre of the debate, and to revel in the controversy this generates. After all, “This guy has magic coming out of his ears”.